I’ll be honest, I was a bit skeptical of The Twitter when it first appeared on the social media scene. Turns out: A lot actually. Twitter is awesome. Awesome I tell you! It is the end of boredom, it is an incredible way to feel instantly connected with faraway people (even celebrities and other people you don’t know), it is the Great Font of Interesting Stuff. But it can be intimidating at first. For those who haven’t checked it out, Twitter is basically a stream of posts by people you follow, all less than 140 characters. And you Tweet short messages to your own followers. It’s pretty much that simple. This is, admittedly, not that easy now that there are millions of people using Twitter. But your username is you on Twitter. It’s how people communicate with you, it’s how you’ll be identified. So don’t go choosing @LoserMcLoserMan and be like, “Oh, well, I’ll go changing that later,” or “I’ll just go by my display name. So choose wisely, and since every character counts, err on the side of short. The people who want to mention you will thank you. The best way to enjoy Twitter is by following very interesting people. You can always check out Twitter’s Who to Follow suggestions to browse by your interests, you can search for your favorite celebrities, or just see who is being retweeted a lot by your friends and follow them. Your Twitter experience is really only as good as the people you follow and interact with. Once the number of people you follow grows to a certain point, you can create lists like “Friends” and “Celebrities” and “Reality TV Stars” so you can keep things manageable and quickly check in on the people whose Tweets you don’t want to miss. And, ahem, shameless plug and all that, I’m on Twitter here. For the most part Twitter is super easy. You just write something short, hit Tweet, and there you go. Boom. You just told people about how you saw a cat jump in a toilet. And the Internet thanks you. But to really build a following, it’s important to be useful in some way. Some people scour the Internet and find really great links. Some people participate and organize chats. Some people are funny. Some people are clever. Some people are interesting. But as always: just be yourself. You’ll have the most fun that way and it’s really the most effective way anyway. 140 characters isn’t much, especially when you’re sharing links. So! If you want to share a link, you’ll need to use a link shortener. What’s a link shortener? It basically turns this: https://blog.nathanbransford.com/blahblahblah into this: t.co/xxxxxx When people click on the short link it opens up as the big link. There are two main ways of going about the shortening of links. If you see an official Tweet button (like the one at the bottom of this post), you can always click on one of those and they’ll usually use Twitter’s own t.co shortener. Otherwise, some people swear by bit.ly. There is a crucial principle about Twitter that even some relatively experienced Tweeters sometimes miss. And that is the @reply. When you start a post with @NathanBransford, not everyone who follows you sees that Tweet. Only your followers who follow @NathanBransford see it. This is a completely genius feature. It means that people only see back and forth conversations that are relevant to them–you only see replies between people you follow. But it also means that if you want to mention @NathanBransford to more than just people who follow me, you’ll have to start with something other than the @. Like a period. Or a word. Also, as Corinne points out, if you actually click the Reply button rather than simply typing @Corinne, in New Twitter people will be able to easily see the conversation thread. Also you should be following @colsonwhitehead. That is important. Not because you have to follow someone whose links you used, but rather because @colsonwhitehead is hilarious. Hashtags have also become somewhat of an inside joke, and people sometimes like to use hashtags at the end of their posts to be funny even when it’s not a popular term. Like #Justsayin. When you see a funny or insightful post, it’s really fun to retweet that post to your followers. There are two ways to retweet. One is old school, one is new school. New school: Twitter has an official retweet button. This will retweet that person’s Tweet to your followers. This is also partly how Twitter’s “Top Tweets” are determined – by the number of people who retweeted them using the retweet button. Again, there are different schools of thought about this, but I lean toward the new school. It can be a little jarring when someone uses the New School retweet and someone I don’t know shows up in my feed, but it seems to me like it’s the best way of really giving that person credit for their amazing Tweet. The best thing about Twitter is the spirit. There’s something about that 140 character limit that makes people witty and funny and wise. You’d think having such a short space would dumb things down, but it’s almost like meter in poetry–the constraint makes people work harder to say things that count. And keep an eye out for hilarious cats. Please add your own Twitter tips in the comments section, and I’ll add especially good ones to the post! Any tips on using those hashtag thingys? I had a twitter once, but deleted it years ago. I suppose I should get one again to fully take advantage of social networking. Yes! Please, someone explain Hashtags! With the new 'real time' twitter stream, is it acceptable or bad manners to repost something a few times over the course of the day? And could you address retweeting? Thanks for the post. At first, I honestly thought Twitter was absurd and refused to participate. It was bad enough I spent so much time on the soul sucking Facebook. Eventually, I wised up to all the good it could do for my writing career. My blog's traffic has picked up with the use of Facebook. Now, as I see how often Twitter is used among friends and celebrities and with your post I feel more confident to take on Twitter. So, I'm going to give it a try. Cross your fingers! I link mine to Facebook, twittering only when I have something important I like to share–new release, new cover, contest, something fun, and often get comments from Facebook fans both on my blog, in emails, Facebook comments and personal Facebook messages. It's a great way to connect! Best of all, it's automatic. Thanks for the tip on the @reply. I've only been on Twitter for about two months, and I had no idea that worked that way. I resisted Tweeting for a long time, but I have to admit, for a humor writer, it is a good vehicle. Plus, I've set it up so my three most recent Tweets display automatically on my blog. It lets me update content multiple times a day. And who doesn't want to hear my thoughts about eating Nerds for the first time in over a decade? Yes, hashtags Nathan? I have also linked my Twitter posts to Facebook so I can post at both from my phone. And I don't have a smartphone. Oh, and how do you reply to someone? Where do people find the time? The tweeting and retweeting and following and checking in to make sure to answer other's tweets to you. Geez, I feel super guilty right now because I have to leave in an hour and I'm at the Bransford blog instead of stealing 5 minutes to work on my WIP. Not. Enough. Time… If someone can make more than 24 hours in a day, THAT I'll sign onto. Nathan? Also don't underestimate the power of LinkedIn, specifically if your blog is business-related. I generate a lot of traffic from my connections there. You can easily connect your Tweets with LinkedIn or use HootSuite's "hootlet" feature to send out posts to all your social media accounts at once. Wow, I feel like a dork. Hey its how I found you, via Rachel G. and I've learned so much just lurking. So eventhough I don't tweet that much, it has benefited me GREATLY! Well said. I got a blog a couple weeks ago, and told myself I would only post on it when I had something insightful and interesting that would better other people to say. I assume Twitter would follow the same route. Everyday may be an adventure for me, but it doesn't mean other people want to tag along. I'm no expert, but I attended a hashtag "event" and understood Twitter for the first time. I think if you want people to follow you on Twitter, you need to remember the "who cares?" question before you tweet. Unless you are funny or have an interesting angle, no one cares about how you are stuck in traffic or what you are eating. Be generous and offer your followers something. Watch the complaining, too. You can actually change your display name if you want to. I've done it several times. Updated the post to include hashtags. Thanks for the great article, @nathanbransford! 🙂 I love Twitter too. I have one bone to pick: I'm not entirely sure it's bad manners to use someone's link without following them. I think accreditation with the username is enough, as long as it's clear how you found the link. For example, if I'm following the hashtag for a conference, and they're tweeting with that hashtag, I think it's okay to use their link without following them (especially if they're tweeting 100 times a day). Also, if I found the link through someone who retweeted it (who you do follow), I would accredit both usernames and be okay with it as long as I'm following one of them. #Anything is a called a hashtag. Hashtags are used to label/tag tweets. Hashtags are often used comically to label the content of a tweet. I'll also add that you can click on a hashtag to see what other people are saying with the same hashtag, so it's great for following conferences, TV shows, etc. from multiple points of view. You can change your display name, but it's your username that's actually the more important one. You're really @username on Twitter. You may be able to change it (I haven't tried), but I would still give it a lot of thought. You ONLY see @reply (such as @NathanBransford) if you follow both NATHAN and the person who wrote the @REPLY. Thats why you see a lot of people repost what someone replied back to them with, so that their followers know what they're talking about. If you want #NathanBransford to trend you get a bunch (a few thousand should be good) people to tweet with #NathanBransford in the tweet and it will show up on Twitter trends. Oh yeah, I agree, you don't have to follow someone whose link you used. I was just saying to follow Colson Whitehead because he's hilarious. I'll clarify that. Well, I had a whole brilliant explanation for hashtags, but I see that Nathan already added it. I love Twitter and I love hashtags! It's my favorite procrastination tool. #greatpostNathan. I liked your blog. I'm still learning twitter and how to use it and try to link it to my other writing but confess I'd rather write the book. Thanks, I can see how I worded it wasn't totally clear. I amended it slightly. Okay….this sir was educational. Thank you!! Email, cell phones, texting, websites, blogs, YouTube, FaceBook, MySpace, (anything I forgot?) and now Twitting…! There was a time when I thought PAGERS were something special! I would say, nowadays, email and cell phones are pretty much mandatory. If you want exposure, then, websites and blogs are highly recommended. FaceBook and MySpace I would think are optional methods to advance your platform. YouTube? Depends on what you have to present…and now Twitter? If I was 20 years younger I suppose. But I think this time, I'll pass. Doesn't mean I won't change my mind. I finally got a cell phone, after all. Useful, many thanks. What's trending? As far as interestingness goes, it doesn't have to be something as useful as "Great article on writing: [insertlinkhere]" although I do follow some of those links if they are interesting. But I must say that even if a post is irrelevant, if it's funny/amusing, then it's good in my book. And cool beans about the @reply! I never knew that. Wondered how that worked out. I don't really have anything useful to add…I've only recently been getting into it. But it's fun and I've connected with so many other writers through it. You should probably explain how to use Tweetchat.com as well in order to better follow a hashtag. For example, every Wednesday night at 9:00 PM, @Georgia_McBride hosts #YALitChat. Participants can log onto Tweetchat.com, enter the hashtag only once and then post and read every tweet by every use participating in the chat. It' a great tool! PS: You can easily change your username on Twitter. But I think it just confuses people. Okay, I'm revealing that I'm a crazy twitter person, but I have another thing to add re: retweets. If you use the "new school" retweet feature, the retweet will only show up in the feed of people who are not following the user whose tweet you retweeted. This can be good so you don't annoy your followers, but if you specifically want people to know you like something, especially if it's by a popular user (such as @neilhimself or @wilw), you should use the "old school" retweet protocol. These are great tips. Thanks, Nathan! Don't only retweet. If something is particularly funny, insightful, or interesting, then please share it with the people who might be missing out, but we want to see some original thoughts too. Don't go on tweeting binges. I used to follow a few people who would wake up in the morning, send out forty tweets in the space of fifteen minutes, and then be silent for the rest of the day. It's annoying when your entire feed is filled with one person. If you use goo.gl as your URL shortener and you have a Google account, it will actually track (a la Google Analytics) how many times someone has followed your link. Great tips. Might I make one addition? When replying to someone, click on the arrow button. Do not just type in their name. Doing the former will allow other people to track the conversation. That way, if you say "I agree!" people will just need to click the Tweet to see what you agree with instead of going to the other person's feed and seeing one statement about cute kittens and another about how Snooki's book is a work of genius, leaving them to wonder which one, exactly, you're agreeing with. Twitter has easily been the most beneficial thing for me both personally and professionally over the past few years. A great resource indeed. I will say that I disagree on your Retweet preferences. If you hit Twitter's Retweet button, the tweet will not show up on lists that people follow. I almost exclusively view Twitter through my lists and NOT the main feed and those Retweets only show up in the main timeline. If you want people who follow you on a list you have to use the old school RT @blahdeblah in order for them to see it. Great post! Two things to add: first, if you are, for instance, a YA author and just starting the Twitter, the easiest thing to do is to ask one of your crit partners or writer friends or a forum buddy if they're on Twitter, then see who they follow. I added around 100 names of authors, agents, editors, etc., by just looking at the few folks I knew. Second, I'd love to hear you weigh in on Tweetdeck vs. Tweetchat vs. other sites that make it easier to follow along. the problem with the 'new school' way of retweeting is that those tweets sometimes don't show up if you're using a twitter program. for instance i have the google sidebar with a twitter ap on it and i don't see a single one of the new form of retweets. i have to check on my phone's ap or go to the original website. An addition to the point about Twitter clients: TweetDeck can make an unwieldy Twitter page far more manageable. It allows you to sort the people you follow into columns under headings you name (e.g., Writers, Business Contacts, Personal Friends). You can then catch up on one column at a time if you want–which makes it much easier to track entire conversations–and if you're reluctant to unfollow someone, you can remove them from a column without actually unfollowing him. Thanks for this! I've been using Twitter for a little over a year, now, and I've been using it with some success as a way of publicizing my blog. Some of the most intriguing writer-marketing type tweets I've seen quote directly from the book as a hook for people reading their tweets. Thanks for the great advice, best of luck! In short: organize people you follow by list. E.g., Writers/editors/agents in one, news in another … whatever. Very powerful tool. 2) Strongly consider moving to a third party social media app as soon as possible. The native Twitter web interface the not nearly as robust as other interfaces like TweetDeck and HootSuite. The latter, for example, allows you to set up three columns: your main feed, your mentions, and perhaps a list. I recently got a personal Twitter account just to bounce messages back and forth to a few of my friends, and I've found there's a lot more to Twitter than I had expected! I'm glad I can practice with this one for a while. I'd have driven everyone nuts if I had started a writing-related account and tried to gain followers without any idea what I was doing. This post is also very useful and confirmed some of the things I had suspected re: how the system works, so thanks! Nathan – Thank you so much for this post! I just began using Twitter a few days ago, and what you wrote is extremely informative. In my experience, Twitter's been great for learning fascinating tidbits about others who essentially already have a name and following. I haven't personally had much luck with it for making actual connections with people though. Seems like it would be one of the toughest social media venues to break into in a meaningful way without a presence elsewhere. It's just kind of a nice bonus on top of other methods. Anybody else have insights on that theory? I was just wondering how to shorten links ten minutes ago. Thanks, Nathan! Great info. I'm on Twitter, but I mainly use it to lurk around the agents I'm thinking about querying. Not in a creepy way, but in "could we maybe work together?" kind of way. It's a lot more informal than blogs and websites, so sometimes you see a bit more of the "real" person and if they like to get drunk a lot or hate all the people that query them, or think all cats should die. I'm not saying where I stand on those issues, although I will admit that my husband is allergic to cats, so cats in our house are taking their lives in their own paws. Ah – THANK YOU! You of the ever-helpful, ever-awesome blogging skillz! I have been thinking about joining Twitter, but had no idea of how to even begin. You just saved me hours of emailing and asking questions and muddling my way. You rock. 1. Case studies have been done that show that bit.ly-shortened links are most often clicked on (as opposed to tinyurl or owl.ly ones, for instance). 2. Analytics have also shown that the best time to tweet (in terms of getting your tweet noticed/retweeted) is 4 pm on a Friday. 3. You can use a free online service called SocialOomph to schedule tweets for a particular time. 5. 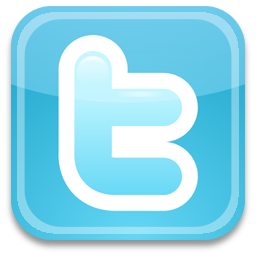 There's a great guide to Twitter for writers on the Inkygirl (www.inkygirl.com) website. What a great post. I wish I'd had some kind of guide like this when I started tweeting a year ago. I had to learn through trial and error. Lots of error. And Danielle and Ayla, thanks so much for the info on the new retweets. I'd also like to second the comment about Tweet binging. I hate it when the whole thread is coming from one person. Don't be a Twitter hog. And thanks to Colleen Lindsay for info on tweetchat.com. That will make following #chats much easier! Am going to try using the hastags to read and send. Thanks. Interesting information. Perhaps I'll use it someday, when I feel the need. I tend to observe and assess where I really want to spend my time, and twitter doesn't show up on the radar yet. But thanks anyway, Nathan, for all the information you make available for your blog followers. Yup, found Twitter intimidating at first but a great tutorial PDF made everything easier to understand. I do swear by bit.ly for the customization alone. I have to admit I still don't really get Twitter. I mean our Good Friend Tahereh made me sign up months ago, and I'll admit I had a blast the first few days, coming up with several (hopefully) clever #betterfirstlines and #zombieproverbs, but then it got old, fast. I think my problem may be that I follow too many people. Still, though, the only time I had fun was when I sat there and watched it all day. I don't have time for that. I know you wouldn't tout it to us if it wasn't worth it Nathan, so I suppose I will give it another try, but honestly I have two twitter acounts, one for writing/publishing and another for sports. I haven't checked either one in days. How much time would one need to devote to twitter to get the most out of it? My personal preference is to check on things once a day, then move on to something else. Twitter and facebook don't seem to work well with that preference. Whatfor is this "Twitter"? Where are the birds? Is there birds? Also, Colson Whitehead is an absolutely wonderful novelist. The Intuitionist was brilliant. Another great way to build your following list is to choose someone you like (say @nathanbransford) and look at who they are following. People who Tweet 10 times in a row and drive everyone else off your main page. Or people who only, ever, and always, Tweet about their book. It gets old. Really. Fast. You've almost lured me back though. You, and Hillary Jacques, I really miss her Tweets. Friends don't let friends Tweet spam…let alone for the love of Doug(las Adams) reTweet it. Great stuff, Nathan. I want to second Colleen's note about joining in on Twitter chats. Debbie Ohi (@inkyelbows) has a great post about chats that cover the various ways to participate AND the chats themselves: Twitter Writer Chats. (I am biased, but I think all should join #kidlitchat on Tuesdays as well as #YALitchat on Wednesdays and and and!). The chats and their transcripts are also great places to find folks to follow. Another tip is to either set Twitter up to notify you when you get new followers OR to check your follower list from time to time to see who you might want to follow. And finally… with clients like Tweetdeck or HootSuite, you can set up columns based on interests or keywords. I have one for "middle grade review" which shows me any tweet mentioning those three words, for instance. It's a great way to filter information and not get overwhelmed by tweets. Thanx for the twitter tutorial! I find it more valuable than facebook as far as writers/agents/publishers go, but that's JMHO. This is so helpful. I love that you're explaining the basics, like re-tweeting and @ and hashtags. It's like this whole other language for those of us not yet involved – so thank you. I can get addicted to anything, and I just can't fit another addiction on my plate, not if I'm also going to do things like work and have a paycheck, so I'm holding off on Twitter. It looks like too much fun! I enjoy reading some folks, though, and someday, I'll wade in. I'll revisit this post when I do. While this isn't true everywhere, here in Little Rock, we have an amazing local twitter community. We hold Tweetups (and hashtag all events #LRTweetup)- And not, a tweetup is not a time where everyone gets together and tweets, we get actual face time together. The relationships (both personal and business) that have formed have been great. If you're new to twitter see if your town has an existing community, it's a great way to plug in. And finding that community could be as easy as checking out other locals lists. i was incredibly skeptical of twitter in the beginning, and it took me a LOOOONG time to get over my skepticism. i took the plunge initially to follow Terrell Owens when he was in talks with the Bengals the first time. and then i started tweeting, following agents and other writers, and now it's where i spend way too much of my time :-/ but i've learned an incredible amount about writing via twitter. a few authors and agents post really REALLY helpful links. I still find some aspects of Twitter to be complete nonsense, but the benefit of it is truly in following and making new connections. There are people who I'd be SO scared to speak to in public, but Twitter has somehow leveled the field and made the communication less intimidating. Twitter is also great if you like to keep up with breaking news stories. Following an outlet like BBC World will give you a succinct list of headlines you can skim in a hurry for what interests you. Following specific journalists can also be very interesting. For example I follow a couple guys in Cairo who were very diligent in tweeting as they covered the Alexandria church bombing and resulting protests, which gave a very unique and yet easily digestible perspective of events as they unfolded in real time. Awe! That makes me miss Twitter! I use to be such an expert but then… I just up and left it all. I miss all the friends that I made from all over the world! Don't forget to use the search function. I search on my name every few days and find new reviews etc that google alert and searches don't always pick up. One of the most difficult things is how to get followers. There's a certain way to do it and not everyone understands. In other words, if you don't have something someone wants, like being a literary agent who may or may not be able to open the gates for you, the odds are no one's going to follow you…ever. So you have to be creative in other ways. I use twitter to follow people who are already successful in industries I want to better understand. When I was writing my book, I found your website and learned much about publishing. (Forever grateful!) I sold that project and as revisions near completion (A year later, thank you) I'm considering what I want to work on next. I'm particularly interested in TV and Film, so I follow writers working in those mediums. Twitter seems like a modern day solution to an age old problem–the old boys' network. Said another way, I get to be a fly on the wall. And if I come up with something clever or meaningful to add, all I have to do is hit reply. I've made connections with people all over the country. I don't know if ultimately this will help with book sales or increase name recognition, but besides the time investment–it's FREE! And another thing, my editor highly recommended I get on twitter and join the community of my 'target audience'. Since those are the people who care about the things most meaningful to me, it's a pleasant no-brainer. As always, thank you. Okay, I'm going to comment anonymously simply because I don't want to put my name to my ignorance. But here's my question: do you have to use texting on your cell phone to tweet? Is there a way to use Twitter without cell texting? Cause I don't text, but I'm going to a writers conference soon, and if having a cell phone to Tweet on will be advantageous during the conference, I'll go get one tomorrow. Seriously awesome. Thank you so much. I have a twitter acct, but I just dance around the peripheral of its many uses. Don't like the new twitter set up as much as the old as now the backgrounds are hidden behind the top layer of info. Many twitterers had backgrounds that showcased their talents or interests and which said a lot about them. I write a regular Follow Friday post on my blog to complement the Follow Friday tweet that I also write. I started doing this because I wanted to explain to my followers why I follow people on Twitter. It's a very popular blog post series. Customers and others tell me they like to know why I follow people on Twitter. It's an approach that helps to get Twitter conversations going, too. I am a HUGE twitter fan. For writers this is the place to be – not Facebook (I think is lame). Hashtags in the search box: #pubtips, put this in and get the stream of publishing tips from industry professionals. Find publishers and agents to follow. #askagent – agents let you ask questions – not query or pitch them, find out what's in, what's not. #amwriting – connect with other writers. Hashtags are used to IM a specific topic from anyone who adds that to the post. If you have a smart phone, just download an app, Twitter for iPhone is great, I've also used Tweetdeck and Echophone. Also there are BB apps, but I'm not familiar with them. If you have a non-smart phone, I think texting might be the only way. (someone feel free to clarify this if I'm wrong). Beyond making connections, I believe Twitter can help your writing. First of all, it makes me account for every word I use. I often will tighten (i.e. edit) a tweet before launching it. Twitter also helps me to notice moments. I have made powerful connections and friends. (1)Use proper spelling as much as possible. Abbrev'g evry wd is annoy'g. (2) If you have a large following, you can also develop private lists of your favourite tweeps. This helps you to keep in contact with those you care the most without offending anyone. Finally, two of my writing friends and I tweet daily under the hastag #wordbitches. We are snarky women who try to write 500+ words per day and report to each other. It's an all year NaNoWriMo for underachievers. You don't have to use a smartphone at all – you can tweet from a browser or a laptop/desktop app. Just check out twitter.com in a browser. If you want a dedicated twitter app, a great one is Tweetdeck. I'm a lot more ignorant as to how Twitter works than this post can address. I don't really get it. I realize there's a Twitter site you can visit to check a person's tweets, but I don't find this particularly convenient or appealing. So is Twitter the reason that I'm now surrounded by people staring at little screens on my commute every day? On the positive side, being forced to overhear personal phone conversations seems to have dwindled to almost never, so I guess that's a reason to be grateful. Thanks, Twitter. Sometimes 140 characters is not enough. You can divide your thought into two or more tweets by doing this. Just type the entire comment in and then highlight part 1 of 2. Copy it and then delete it. Now post part 2/2 that you have on the screen. You can now paste the first part of the message and tweet it. This way when someone looks at the timeline, they can read the entire message in order. I find this to be a very handy way to tweet a message that simply won't fit in the small space alloted to us. Thought I knew Twitter, but learned something new. Thanks! The new school retweet keeps the old time, so if you retweet something from yesterday it shows way back in the history rather than as something new. Your friends don't actually see it. I've been kicking around what it is about Twitter that I need to understand in order to come to terms with. What does it mean to the cultural zeitgeist? Mass culture wee tween twiter speak? Sound bite ad hominem rhetoric? Message story boarding, sort of a linguistic water boarding torture? Okay. I get it now. Twitter will, is, influencing language. With only 140 glyphs upon which to express a complete thought compressing language is bound to happen. It's already apparent in text messaging and spreading into the culture. Language will change even more than it has from the Internet. Maybe it will change so much that Twitter speak becomes its own language and nonnative speakers will not understand and will need intepreters. So if you have chosen to protect your tweets and you do an @ response to someone you follow but who doesn't follow you, can he/she see your message? I've been on social media sites for just about ten years now and yet I've still been a little afraid to take the plunge into Twitter! I've been planning on making the leap soon, though, and I'll definitely be referencing this blog while I'm getting used to it. Thanks Nathan! Great post Nathan. I think Twitter is a great resource for writers. Why? Bc for one, it makes the wordiest writers, week, less wordy. Short & sweet & to the point, in 140 char or less. Two, it helps you connect with other writers & agents, and for those writers trying to be published, the access to #askagent or #yalitchat or other similar real-time chats is awesome. Plus, Twitter is just fun. Quick question: is there an etiquette thing about following people? Specifically, if they follow you, are you expected to follow them back? Just curious. Thanks! I meant, "it makes the wordiest writers, well, less wordy." Curse the iPad's suggestive typing. Oh, and #typingtoofast. I changed my Twitter name and username today without a hitch. Thanks for the advice on that. Changing the names is as easy as going into the profile of your account and change it. I also wanted to attach a "B" for the google blog. I build my webpage with basic html…so…where do I find the code to link them together? Anyone have info…I sure appreciate it. I resisted Twitter for years. "No one really cares if I sneeze," I always argued. But in the name of networking, I finally broke down and got one… yesterday. Thanks for the information about hashtags; they confused me. I'm sure the link shortener will come in handy shortly (pun intended). What about Twitter Etiquette? I mention this because there are a few things that can make me unfollow someone. For example! @Replies are FABULOUS. I like @replies! But man, it is REALLY annoying when my Twitter stream is nothing but a long conversation between two people. If you are having a conversation, please, for the love of all things good, switch to DMs or a chat program! If a mutual friend has to scroll down pages to see anything other than your conversation, that is not a nice thing. Also, retweet abuse is not a nice thing. Remember that your followers are following you because they want to see what YOU have to say… not to see what everyone you follow is saying. I have unfollowed people before because their stream was more retweets than their own tweets (and they used old-school retweeting exclusively, so I couldn't block the retweets). Hash tags can be a great way to keep up on a live event. Sometimes when I can't watch the game I use Twitter to keep up on the action. To be honest, Twitter frightens me. People have compared it to a cocktail party (hm, joke in there somewhere…? ), but I liken it more to an open mic/poetry slam or *gasp* public speaking. I actually changed my college major to avoid taking a rhetoric course — and not surprisingly, substituted an English elective in its stead. Is it against the rules of "netiquette" to have someone write all your tweets/blog/etc. for you, i.e. a freelance copywriter you hire as part of your PR team? Or is the whole point of this social stuff exactly what it says on the label, to get to know the people behind the keyboard? Ok thanks for your help on the @replies issue bu could you clarify this query please – which is related. If i click the REPLY link to someone's TWEET and send in a reply, I do not see my tweet in the list of replies listed below their original Tweet. I can see other people's replies but not mine — why is this? I've got to day it — I hate Twitter. I have an account but it is hard to get my head around. Maybe I need to read your article a few more times because twitter is crucial if you blog. why with tweets from the same person can I sometimes use the reply function and other tweets it doesn't work. today there were 2 consecutive tweets by him on one reply worked on the other it didn't?